The grand coalition of the 14th annual Dr. Martin Luther King, Jr. Day Rally and March in motion in downtown Detroit, Jan. 16. In Detroit, this year’s Dr. Martin Luther King Jr. Day Rally and March was organized under the demands for “Jobs, Peace and Justice.” This 14th annual event commemorated King’s stand against the Vietnam War, Detroit’s urban rebellion of 1967 and the 50th anniversary of the intersection between the Civil Rights, Black Power and anti-war movements in the U.S.
During the early months of 1967, Dr. King was rapidly developing his theoretical views in opposition to the U.S. imperialist war against the people of Vietnam and Southeast Asia, and its interconnectedness with the unfulfilled quest for full equality and economic justice. Dr. King delivered several sermons on these issues in Detroit during the Lent season from the 1950s right up to 1968, including at the Central United Methodist Church, downtown at Woodward Avenue and East Adams. King, the leader of the Southern Christian Leadership Conference, spoke at CUMC just three weeks prior to his assassination in Memphis, Tenn., on April 4, 1968. This year’s commemoration was held at the Central United Methodist. 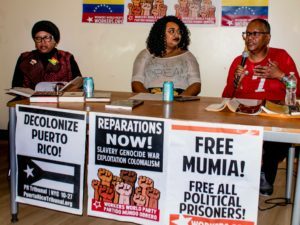 Activists representing struggles in the forefront, involving water services, housing rights, election integrity, youth organizing, Indigenous solidarity and the Standing Rock resistance, educational democracy and other issues, spoke during the rally held in the sanctuary. Music was provided by the Deep River Choir directed by Bobbi Thompson. Sylvia Morgan and Malcolm Jones were speakers who participated in the 2016 Freedom Tour sponsored by the Michigan Coalition for Human Rights, where students are taken on a journey through the southern U.S. to study the historical legacy of the Civil Rights movement. The question of the integrity of electoral politics was examined by Anita Belle, president of the Reparations Labor Union and a Green Party organizer. Jennine Spencer of the Charlevoix Village Association discussed the campaign to end property tax foreclosures in Detroit and Wayne County, where every year tens of thousands of people face eviction from their homes. Cynthia Thornton, chief steward for United Auto Workers Local 6000, representing state employees and Pride at Work as well, talked about the need for a united movement against discrimination on the job. Speaking for Water You Fighting For, Melissa Mays of Flint, Mich., emphasized that the water crisis in the city is by no means resolved. Joan and Joe Jacobs of the American Indian Movement (AIM) stressed the importance of the resistance at Standing Rock, where the campaigns for water rights among the Indigenous people along with Detroit and Flint merge. The Rev. Sandra Simmons of Hush House, whose topic was “Building Community in the Age of Trumpism,” described the ascendancy of President-elect Donald Trump as a “coup.” She called for people fighting in the movements in Detroit to unify through their community efforts. Elena Herrada of the Detroit Board of Education in exile communicated the apartheid conditions which students are subjected to in the city. The Detroit public school system has been restructured once again by the state government, which has controlled the district for most of the last eighteen years to its detriment. 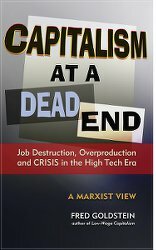 Hundreds of schools have been closed and thousands of education workers laid off by the emergency managers and their functionaries working on behalf of successive ruling administrations. 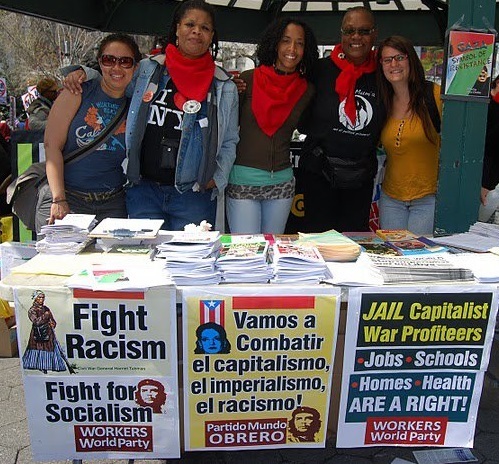 The question of war in the Middle East was taken up by Workers World Party youth organizer Joe Mshahwar of Detroit, who expressed solidarity with the people of Syria. He noted that people in the U.S. should not be manipulated into a war with Russia or China over imperialist ambitions emanating from Washington and Wall Street. The initial emphasis reflected King’s own intervention into the anti-war movement, which coincided with escalating militancy among African- American people. Corporate media narratives distort and deliberately disregard this legacy of Dr. King. The city of Detroit experienced the largest of these rebellions, assessed at the time as the most widespread civil disorder in the history of the U.S., with battles raged in the streets for five days, leaving 43 people dead, hundreds injured and 7,200 arrested. Property damage estimates ranged into the hundreds of millions of dollars. President Lyndon Johnson, bogged down in the Vietnam War, deployed thousands of federal troops into Detroit after Gov. George Romney requested assistance. On July 25, 1967, at the height of the Detroit Rebellion, three African-American youth — Aubrey Pollard (19), Carl Cooper (17) and Fred Temple (19) — were executed by police officers in the annex to the Algiers Motel, located on Woodward Avenue and Virginia Park. Outrage flared throughout the African-American community. Three white police officers indicted in the case were all acquitted of their crimes in several legal proceedings held both inside and outside the city of Detroit. One month after the killings of the youth, leading activists organized a People’s Tribunal to investigate their deaths and leveled charges against the police involved. Thousands attended the tribunal held at Central United Church of Christ (later renamed The Shrine of the Black Madonna and the Pan-African Orthodox Christian Church) on Linwood and Hogarth on the West Side, several blocks away from where the Detroit Rebellion had erupted. The Rev. Dan Aldridge was a key convener of the People’s Tribunal. He wrote a comment for the Detroit MLK program explaining the significance of that tribunal, held Aug. 30, 1967. 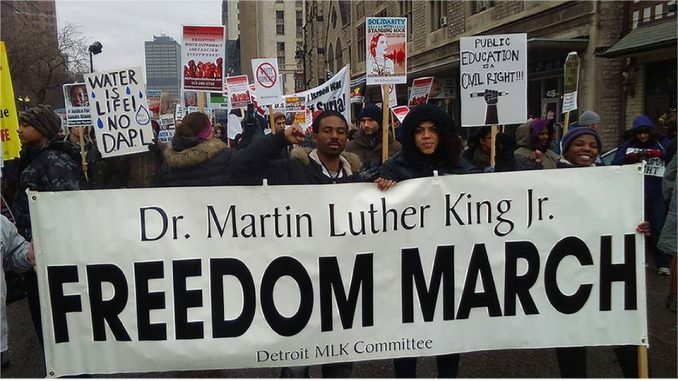 Since 2004, the MLK March has been expanded to encompass other organizations and coalitions under the banner of the Detroit MLK Committee. Over forty organizations and individuals sponsored and endorsed the 14th Annual MLK Day Rally and March for 2017. These groups included, in part, the Moratorium NOW! Coalition, MECAWI, People’s Water Board, Linda Szysko, UAW Local 140 Civil and Human Rights Committee, UAW Local 160, We the People of Detroit, the League of Revolutionaries for a New America, Detroit People’s Platform, Avalon Bakery, ACLU of Michigan, St. John’s Episcopal Church, Detroit Coalition Against Tar Sands, IWW Detroit GMB, Pan-African News Wire, Sugar Law Center for Economic and Social Justice, Veterans for Peace Chapter 74, Workers World Party, Pride at Work Michigan, Retirees for Single Payer Health Care, Rosa and Raymond Parks Institute for Self-Development and Pointes for Peace, among many others. The author of this report chaired the rally held at CUMC. He is the editor of Pan-African News Wire.